The hedge funds are the alternative investments accumulated with the pooled funds which use a number of varied strategies so as to earn the maximum. In order to get maximum returns, the hedge funds managers may use aggressive methods in both the domestic and international markets. Managing hedge funds investing is a great and lucrative career option but in order to be a successful hedge fund manager, one must know how to have a competitive edge, a risk management strategy and also adequate capitalization. The research work helps managers to form a foundation for the work he or she has to indulge in. The managers are also required to analyze the market so as to know the rates and also to track the investors, the competitors. The manager is responsible for identifying the best assets for the company. The best assets are termed those which are lucrative for the company and also the risk involved in their investments are low. The selling and the buying of the assets is done by the hedge fund managers. Not just this, he also creates investment portfolios. They buy and sell the investments for the hedge funds only. Also, they create forecasts and manage all the funds on a regular basis. He is the one responsible for coming up with the comprehensive funds and also he has the duty of managing those funds on a daily basis so as to avoid confusions at the end of the day. The hedge fund manager meets clients and also give them advice when required. Also, the managers inform them about various investment options so that their investments turn out to be lucrative for both the company as well as the client. So, above are the primary things which are performed by the hedge fund managers. 1. After matric, it is advisable to opt for commerce with accounts and economics. 2. After plus two, one should have a degree in accounting as the hedge fund managers have to deal in accounts, manage them all day long and also advise the clients. You will be able to do all only when you yourself have this amount of knowledge. 3. After the bachelor’s degree, you can have a master’s degree. Although it is not necessary as you can jump into the work after bachelor’s only but having a master’s degree, gives you an edge over others in the competitive market and the workplace too. So, it is good to have a master’s degree in business administration. 4. All the hedge fund managers need to have extra knowledge about the varied financial instruments like equities, foreign exchange trading and other. So, to have knowledge of all these, there may arise a need to do additional courses. Thus have additional certificates. The extra knowledge is never harmful, but always helpful. So, you can pursue extra courses also. 5. Also, have proper and in-depth knowledge of the taxation as the hedge fund managers have to deal with the taxation implications which are actually very complicated. 6. Before becoming a hedge fund manager, one has to gain experience in the financial services industry. For that you will have to get licensed through the Financial Industry Regulatory Authority, then have experienced before finally becoming a hedge fund manager. 7. You need to learn from the masters. Yeah! Here the masters are not the people or the experts, but lot of literature that is available and you can know about the news funds, latest reports, know the activities of the successful hedge fund managers. So, spend more time learning the mechanisms. 8. In order to be a hedge manager, build relationships and contacts. The relations and the contacts with your future peers will surely come handy in the future whenever you will be in trouble. 9. Make a business plan for yourself. While you make a business plan, it will help you in reaching out to some of the major issues for example, how much money is needed to start the business or how many employees are needed initially. 10. Also, be aware of risk management. The risk management is important as anytime the company may suffer from acute losses which you will have to handle. So, it is also important to learn about risk management. 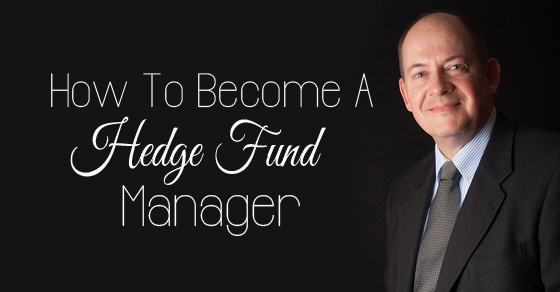 So, above are some of the points that one should keep in mind in order to become a successful hedge manager. For all sorts of work, one needs utter confidence, sheer hard work and lots of basic knowledge to make the foundation strong and firm. 1. The education qualification to be a hedge manager is a bachelor’s degree in business or accounts subjects. 2. After bachelor’s, you can opt for masters in business management. Also, you can go for the extra classes or the short courses to get extra knowledge about the subject. 3. You need to have in-depth knowledge about the different terms used in the field like the equities, international exchange trading, derivatives and so on. 4. A minimum of 3 – 5 years of accounting or the business experience is needed. 5. A candidate should be a certified public accountant. 6. Strong skills and knowledge about the Microsoft power point, Microsoft Excel and Microsoft word are needed. 7. Good speaking and communication skills along with written skills are essential. 8. Apart from the above strong organisational skills are also needed. 1. In order to get a job as a hedge fund manager, one needs to have an understanding of the financial market and its functions. 2. One is also expected with some sort of experience in one or the other aspect of the business or can be money management too. 3. The people seeking employments in this field should understand the hedge funds so as to conduct the business smoothly. 4. The hedge fund job requires greatly dealing with the day to day administrative functions which would include accounting and other financial issues. 5. The manager has to prepare for the proposals, client presentations, and client reporting. 6. Making on-site calls to investment managers. 7. He has to generate various ideas for investment strategies for the clients. 8. He is the one who has to perform various valuation techniques. 9. Also, the job requires to maintain the current and the previous funds of the company simultaneously. So, if you are looking for a job as a hedge fund manager, you need to have a broad outlook of all above. Anything unknown can lead to a number of issues. So, if you want to avoid all such issues, just have a broad knowledge of the concept so that no problem arises in the field. 1. Top hedge fund managers get a handsome salary no doubt. The average salary of the fund accountant in the united states is USD 90, 000. While in London it would be GBP 35,000 and in India, it can be up to INR 600,000. 2. You need to know that the compensation of the hedge fund manager greatly depends on one’s execution. The compensation for a hedge fund manager is not a fixed benchmark, but yes, it would be twice that of the fund accountant. If the employee performs well, the pay would be extremely good. The career in this field is demanding and quite rewarding. As you reach the top level position, you get a strong hold of the different investment products, and so on. So, it highly depends on one’s performance and if you perform well in any field, you will excel and achieve success. Previous articleHow to Make Tough Decisions for Yourself?